When Does Help Become Too Much Help? – more laws, more problems. It’s no secret that most everything I was ever told growing up was a lie (By society not my parents). For example: Salt is bad for you, FALSE. Marijuana kills brain cells, FALSE. Sticking our nose into other countries business and starting or supporting wars is vital to the American way of life…. Hmmmmm this one isn’t so easy to make a judgement on. There are no studies or experiments that could be done in a lab to prove or disprove this. Maybe I can examine a few recent wars to see if I can come up with a good answer. Take the Vietnam War for example. It was touted as being necessary to fight the spread of communism. We had to help those poor Vietnamese people so they wouldn’t fall under Communist rule. 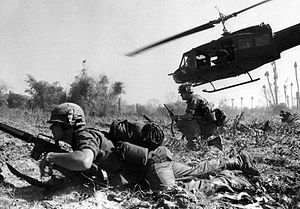 Was it really up to the US what happened over there, or up to the people of Vietnam? One major flaw of this countries government is they act like the “Boss” of the world. We see countries and their conflicts and we automatically assume we know what is best for them. Maybe as a “free” society we should try to help other peoples in their fight for freedom, but do we go too far? Let’s examine this question by comparing these wars with our own revolution. This is a great example because we were struggling for our freedom while being ruled by a monarch in another country. We felt we could do a better job ourselves. We also reached out to other countries for aid, and one that responded was France. They sent troops, ships and money which proved invaluable and helped us win the war. Some argued the French could have done more to help us. These arguments were very prevalent during the war as well . Our country wanted more troops, ships and aid from the French. It’s obvious now that we didn’t need anymore, and we made good with what we received. Now imagine for a moment the french did send more help. Say we convinced the nation of France that this war was imperative to stopping the spread of the British Empire and they should make it there number one goal to drive the British out of the American colonies. If we somehow accomplished this and the French sent the majority of their army and naval fleet to the colonies many would see this as a good thing. They would have a huge force and really give the British a pounding. However, the French armies would be encamped all over the new world. This wouldn’t be the intended purpose, but when the war was over the US would have a huge french army “occupying” American soil. Now let’s say the French realize their huge investment in this new world and want to protect it. After all they just spent countless lives of troops, ships, money etc ensuring our freedom from the Brits. They may feel they would have to leave troops here to protect us from a follow up British invasion or from another country who may swoop in and try to gain control over our new nation. If this were to happened the French would have wasted all those lives and resources for nothing. How could anyone blame them for wanting to protect their investment. Think about this for a moment. There would be a standing french army on American soil, here to “protect us” from an unseen enemy. From the point of view of the American people, who just gained their independence from one nation, it would look like the French didn’t trust us with this new freedom that they had just helped us gain. After awhile of this “occupation” the American people could want to rebel against the French, or the French could try to make us part of the their own Empire. One could compare this scenario to the Iraqi war. At first they greeted us as liberators. Then as we became an occupying force they began to resent and rebel against us. The point here is there could be such a thing as too much “help”. It’s like that old saying: “Give a man a fish and he eats for a day, teach him how to fish and he feeds himself for a lifetime.” If our government really wanted to help these countries there may be better ways to go about it. Instead of starting or participating in an all out War we could give them aid, support, and funding. If this isn’t enough to help them gain independence then maybe they are not ready. Maybe it is not their time. Who are we to make that decision? I believe if we do want to give aid or support it should be up to congress however. This way there would be a more representative decision on the part of the American people on who we help and why. Instead of helping a country because they have oil or are strategically important in a region. Of course this would only truly work if you had an uncorrupted system. Which is a whole other story.